Our most popular key card, each SKC-06 card contains a Barium Ferrite insert that is encoded by magnetizing spots in a specific pattern with specific polarities. 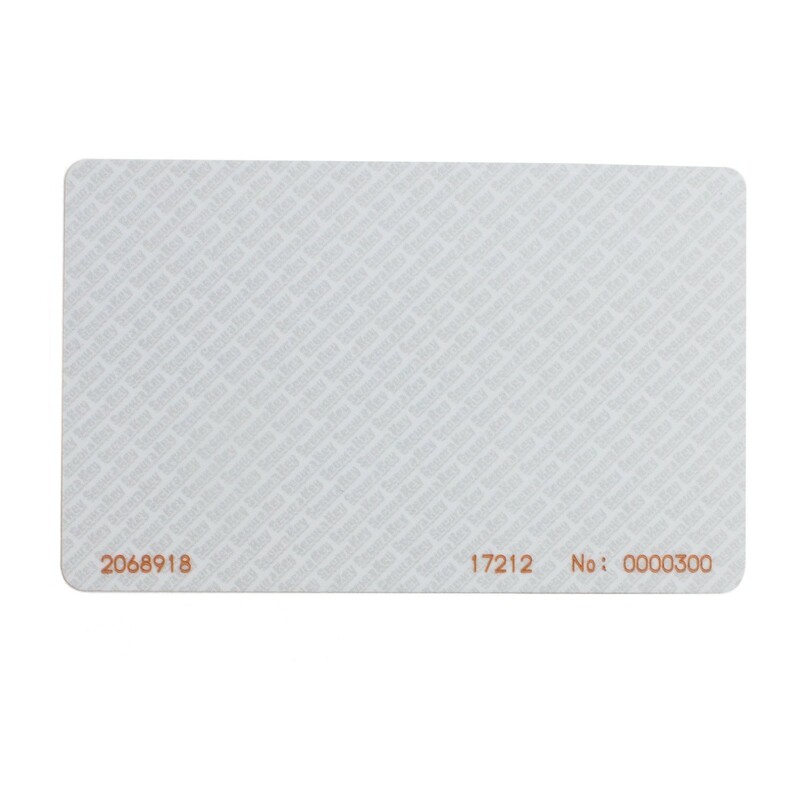 These popular cards are factory-encoded with a facility (site) code and a unique card ID number. 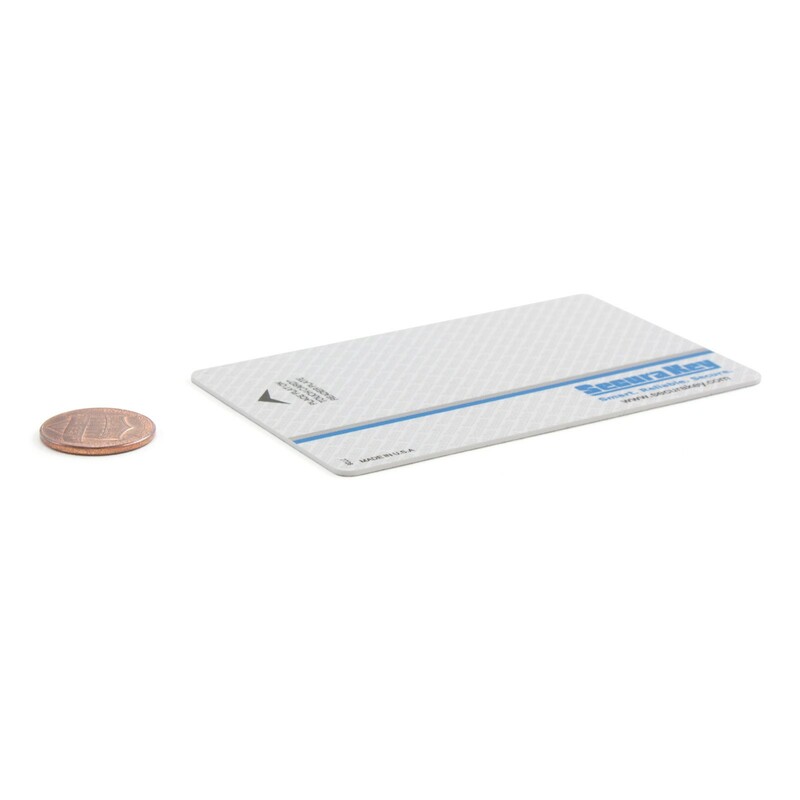 Unless otherwise specified, these cards will be printed with Art File 7728, and the facility code and card number will be laser engraved on the bottom edge of the back of the card. 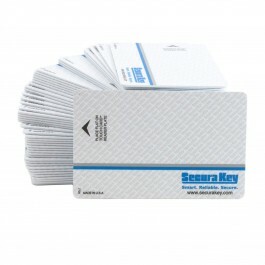 Secura Key can pre-print SKC-06 Barium Ferrite cards with custom graphics. One-time tooling charges (per color, per side) are incurred for initial setup, and printing charges (per color, per side) are incurred for each run. 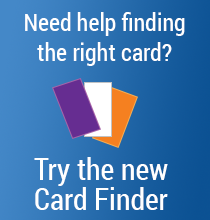 There is a 250 card order minimum for all custom printed cards. 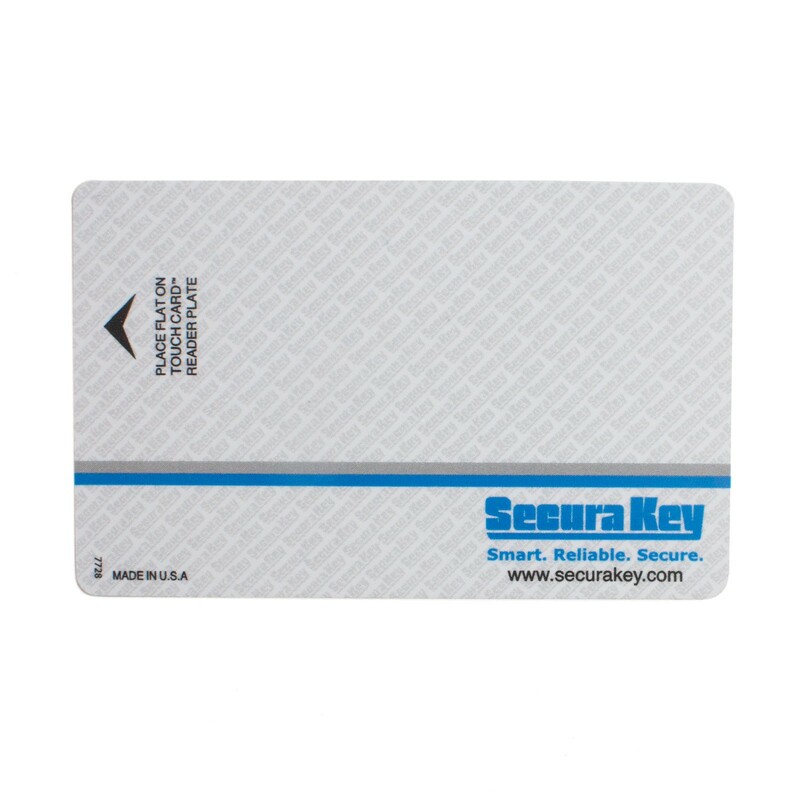 For additional options such as custom graphics, slotted (portrait), signature panel, photo flap, bar code or mag stripe, please call us toll free at (800) 878-7829.